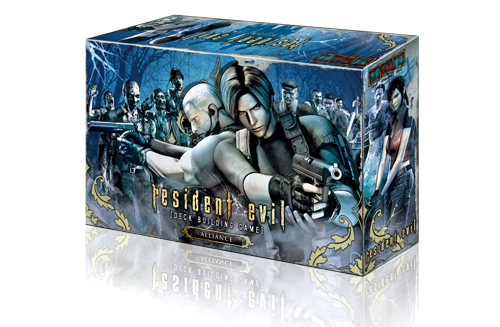 Resident Evil DBG: Alliance is a stand-alone expansion that can be played on its own or with the top selling Resident Evil Deck Building Game. Play with new additional characters such as Hunk, Carlos Oliveira, Steve Burnside, Josh Stone or Billy Coen. New weapons, actions and infected have been added to this set to create even more powerful combinations and dangers. Alliance also introduces the new partner mode of play where you take on the mansion with not just one character but two!